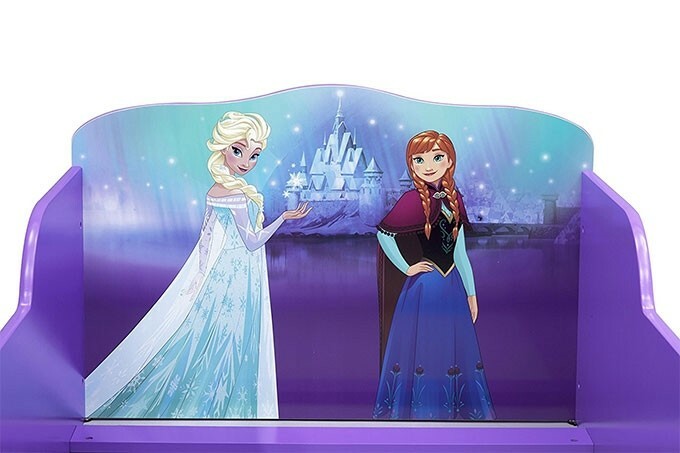 Anna and Elsa reveal the power of sweet slumber on this Disney Frozen Wood Toddler Bed by Delta Children. 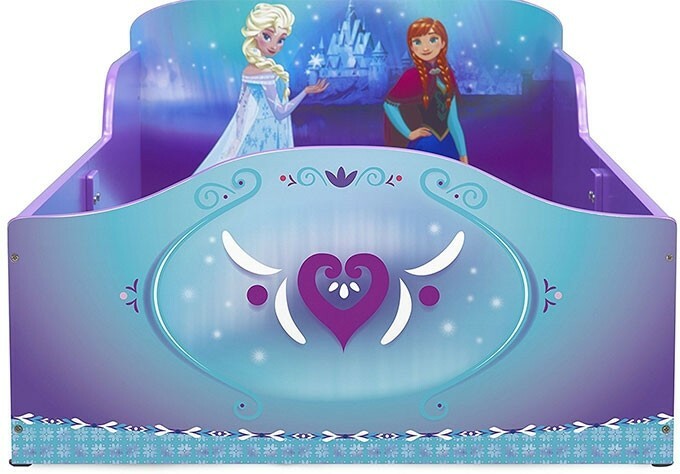 Perfect for a true Frozen fan, this colorful wooden toddler bed features adorable graphics of Anna, Elsa, Kristoff, Olaf, and Sven. 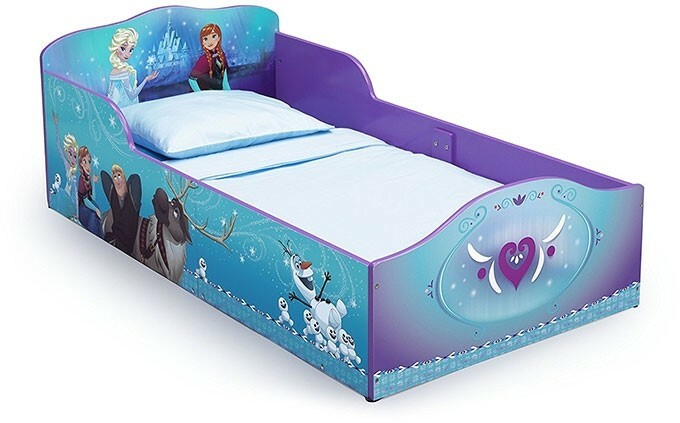 Plus, it's designed with high sides that serve as guardrails -- giving your child the independence they crave while keeping them safe at night. 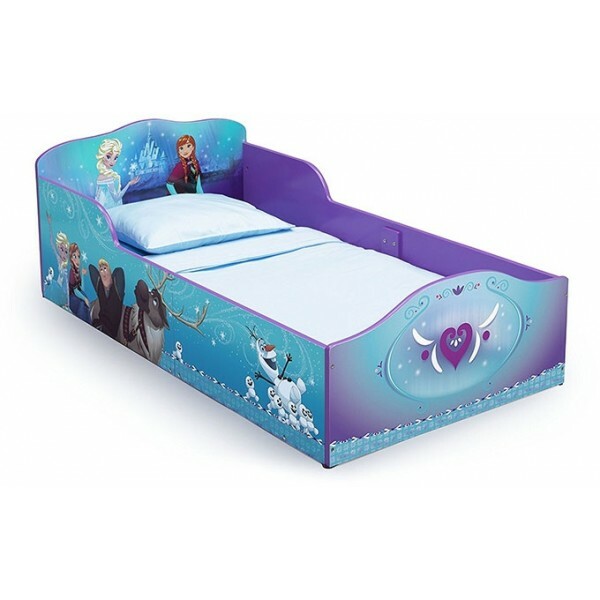 This toddler bed fits a standard size crib mattress and crib or toddler bedding.